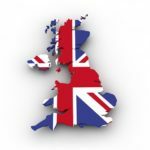 New online gambling rules for the UK licensees in Spring 2019. Is your favorite online casino licensed in the UK? 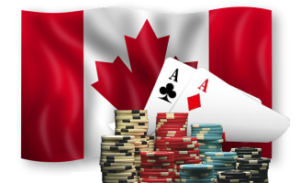 If you’re a Canadian iGamer who doesn’t conform to the less-favorable offerings of provincially-run gambling websites, the answer is probably yes. And if that’s the case, you can expect a few changes in the coming months. The UK Gambling Commission (UKGC) has set forth new rules to take effect this Spring. Don’t worry, the changes that are coming will all be positive ones. The UKGC’s primary target is updating its consumer protection policies. Verifying customer identities and protecting minors have become the most critical components of all. Existing iGaming policies allow operators to take up to 72 hours to confirm the identity of a new player. This means that when a new member registers an account, they provide their name, address and date of birth. They are then obliged to provide proof of that identity (drivers license, passport, utility bill, etc) within 72 hours. In the meantime, they can deposit and gamble all they like. No withdraws will receive approval, of course, until the verification process is complete. If the player’s info doesn’t match up, their wagers are void with a refund of deposits. The biggest problem here is that minors can gamble for three straight days unheeded. The UKGC’s new rules will ensure that doesn’t happen anymore. Come March, operators will have to conduct identity verification before any gaming takes place. Deposits will be restricted. Players cannot wager with free bonus money prior to validation. Even the free play-money demo games will be off limits without proof of eligibility. Clearly, the UKGC is taking a zero-tolerance approach to protecting today’s youth. It’s not just minors that the Commission is targeting with greater protections. Last year, 15% of all consumer complaints had to do with operators delaying cashouts. Players were being required to provide additional verification documents before a withdraw request could be approved. Customers will no longer have to put up with this. If you’re an Ontarian who conducts all your iGaming at PlayOLG.com, you won’t feel the effects of this. Nor will BC or Manitoba residents who utilize PlayNow, or Quebecois who wager with EspaceJeux. But most Canadians who enjoy internet casino games, poker games and sports wagering do so with offshore, internationally regulated websites. Not just because they can, but because these sites have so much more to offer. The majority of today’s most reputable iGaming operators are licensees of the UKGC. True, the UKGC only requires its licensees to follow their rules in acceptance of UK-resident players. However, these highly reputable operators tend to hold licenses elsewhere, too. And those respected jurisdictions tend to follow in the UK’s footsteps, sooner or later. What I’m getting at is that if an operator is going to change its ways, why only do it with UK customers? It would benefit the operator to conduct static policies across the boards. It’s easier to manage, raises their reputation with customers, and prepares them to adjust to similar new online gambling rules in other jurisdictions, should need arise.